FEATURING: Jacob Diamond, Joni In The Moon, Gina Williams & Guy Ghouse and Tomás Ford. Debuting at Perth’s freshest late night hot spot Jack Rabbit Slim’s in Northbridge, this year’s coveted ‘WAMi’s’ will be handed out during an evening peppered with performances from some of WA’s most exciting talents. Due to the venue’s limited capacity, #WAMAwards tickets will be available strictly by invite; to nominated acts and #WAMConf ticket holders, who’ll be able to celebrate in style at the WA music industry event of the year. This year WAM’s stepping up the game and offering unprecedented value for artists, managers, students and those with a passion for music, with the benefits worth the cost of guaranteed extras and exclusive opportunities alone! Thanks to the Perth Theatre Trust, the move to the State Theatre Centre of WA will offer a dynamic environment for audiences to engage with the all-star cast from around the world in panel sessions, one-on-one meetings, radio pitching opportunities and networking sessions, with everything included in ticket prices – including also free entry to the debut Quay Note Boat Party, the WA Music Awards and all WAM Festival Friday Showcases! 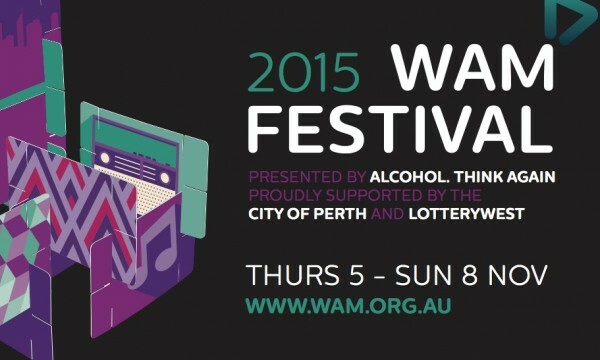 A series of free and ticketed (or all free for #WAMConf ticket holders), genre or theme-specific showcases spanning Perth’s inner city suburbs, presented in conjunction with some of WA’s best promoters and organisations. Running from 5pm to late, there is something on the menu for every taste, from metalheads to beats boffins. FEATURING: Sydnee Carter, Spire, Figurehead & Fairbridge Quest Winners Shannon, Isla & Ella E.
► More artists, a second stage and increased capacity, the return of the Block Party (as part of the Saturday Spectacular) will this year provide thousands with a free block party-styled celebration of WA music and culture, right in the heart of Northbridge. Extending the good times for a long-overdue mini fest in Fremantle, festivalgoers will be able to finish off their weekend in the beautiful surrounds of the Fremantle Arts Centre and the revamped The Newport Hotel. The three-stage event will feature 15 artists and will be free entry 2–10pm. Enjoy some of the best in the West at the ultimate WAM Festival finisher!